Get outdoors at Kaiserstuhl Conservation Park and Altona CSR Landcare Reserve. Murray Street Vineyards and Basedow Wines are good opportunities to explore the local culture. 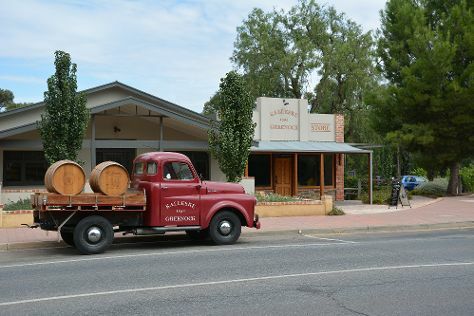 The adventure continues: learn about winemaking at Langmeil Winery and appreciate the extensive heritage of Town Walk of Tanunda. For ratings, maps, other places to visit, and more tourist information, read our Tanunda trip planning site . Barcelona, Spain to Tanunda is an approximately 29-hour flight. Due to the time zone difference, you'll lose 8 hours traveling from Barcelona to Tanunda. Expect a bit warmer weather when traveling from Barcelona in April: highs in Tanunda hover around 26°C, while lows dip to 13°C. Cap off your sightseeing on the 29th (Mon) early enough to travel to Burnie. Burnie is a port city on the north-west coast of Tasmania. On the 30th (Tue), identify plant and animal life at Wings Wildlife Park, take in the dramatic scenery at Preston Falls, and then identify plant and animal life at Lillico Beach Conservation Area. Get ready for a full day of sightseeing on the next day: take in the dramatic scenery at Guide Falls Reserve, identify plant and animal life at Fern Glade Reserve, then examine the collection at Ulverstone History Museum, and finally make a trip to Giant Penguin. To find traveler tips, where to stay, maps, and other tourist information, read Burnie itinerary planner. Use the Route module to find suitable travel options from Tanunda to Burnie. Plan for little chillier temperatures traveling from Tanunda in April, with highs in Burnie at 20°C and lows at 5°C. Wrap up your sightseeing on the 1st (Wed) to allow time to travel to Latrobe. Latrobe is a town in northern Tasmania, Australia on the Mersey River. Kick off your visit on the 2nd (Thu): trek along Bell's Parade, then look for all kinds of wild species at Sykes Sanctuary, and then wander the streets of Tasmania’s Town of Murals. On the 3rd (Fri), you'll have a packed day of sightseeing: look for all kinds of wild species at Warrawee Forest Reserve, then take in breathtaking views at Leven Canyon, and then see the interesting displays at House of Anvers Museum of Chocolate. To find traveler tips, where to stay, more things to do, and more tourist information, refer to the Latrobe travel itinerary planner . Getting from Burnie to Latrobe by car takes about an hour. May in Latrobe sees daily highs of 17°C and lows of 5°C at night. Wrap up your sightseeing on the 3rd (Fri) early enough to travel to Sydney. Your cultural itinerary includes sights like The Rocks and Art Gallery of New South Wales. 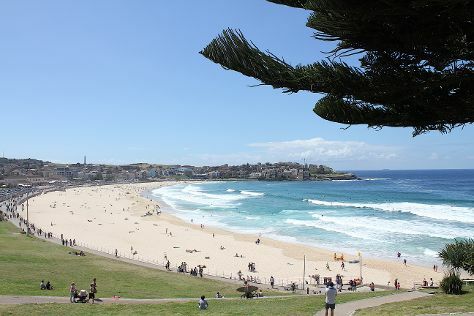 Take a break from the city and head to Bondi Beach and Manly Beach. Venture out of the city with trips to Blue Mountains National Park (Anvil Rock Lookout & Pulpit Rock Lookout), Coachwood Glen Nature Trail (in Megalong Valley) and Wentworth Falls (in Katoomba). Spend the 5th (Sun) wandering through the wild on a nature and wildlife tour. And it doesn't end there: wander the streets of Darling Harbour, take in the views from Sydney Harbour Bridge, explore the world behind art at Australian Centre for Photography, and see some colorful creatures with a scuba or snorkeling tour. To find reviews, traveler tips, where to stay, and tourist information, you can read our Sydney trip itinerary planning site . Explore your travel options from Latrobe to Sydney with the Route module. Traveling from Latrobe in May, expect Sydney to be somewhat warmer, temps between 24°C and 14°C. Finish your sightseeing early on the 9th (Thu) to allow enough time to travel back home.